PTARAS (9598) succeed breakout bolinger band squeeze? 2. 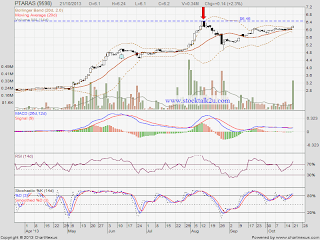 Stochastic %K on BUY call. 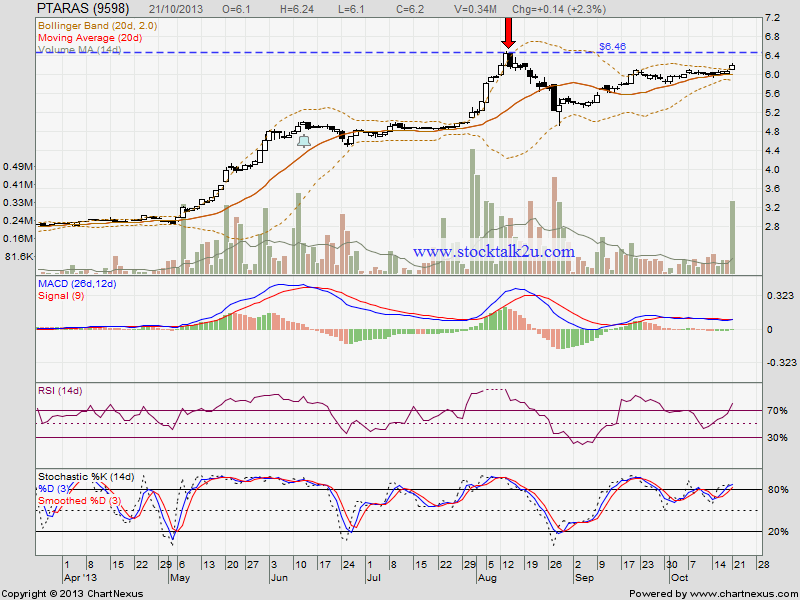 Immediate resistance @ RM6.46 level.